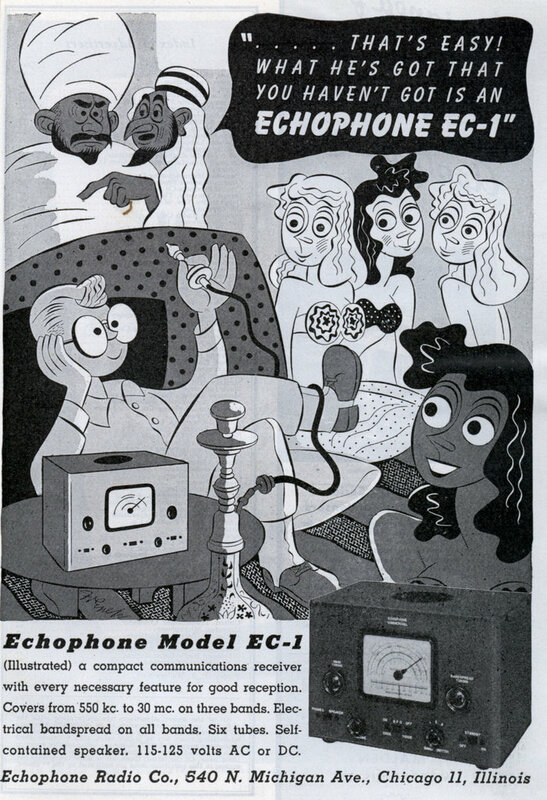 Note the underlying truth of this ad: surrounded by fawning girls, the geeky kid is focused on figuring out how the hookah works and how he can mod it. 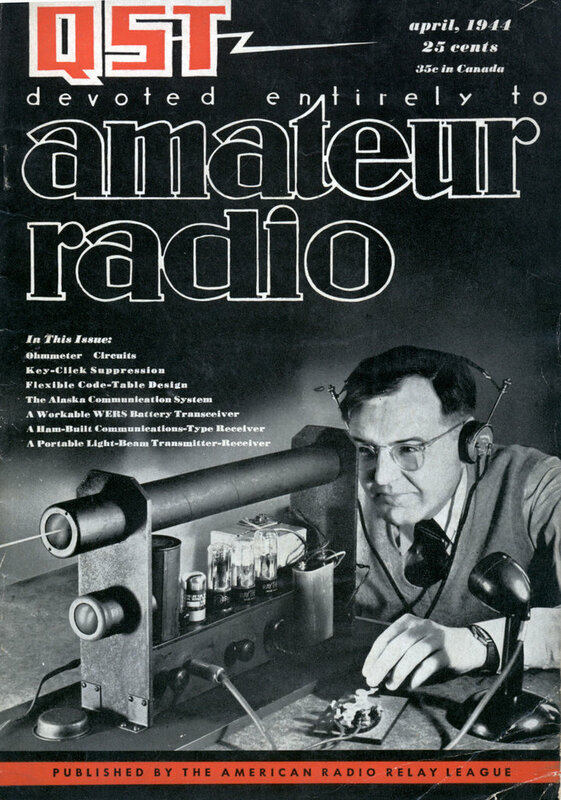 (Illustrated) a compact communications receiver with every necessary feature for good reception. Covers from 550 ka to 30 mc. on three bands. Electrical bandspread on all bands. Six tubes. Self-contained speaker. 115-125 volts AC or DC. I was looking at the article about the girl genius in Kansas who works on a radio station, and somehow a comment on that article was really referring to this one.